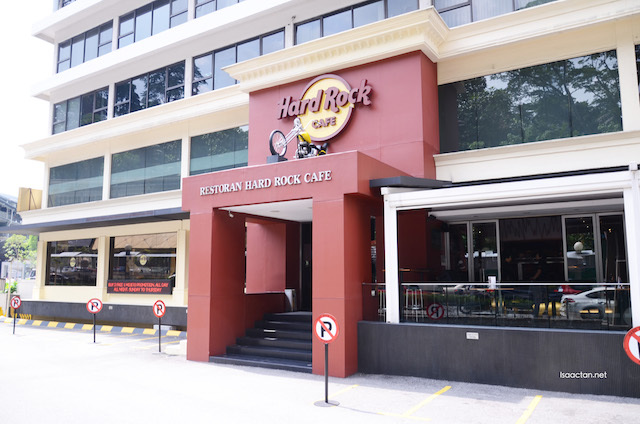 Hard Rock Hotel Kuala Lumpur has kicked off their World Burger Tour menu, showcasing the flavor and ingredients at Hard Rock locations across the globe. 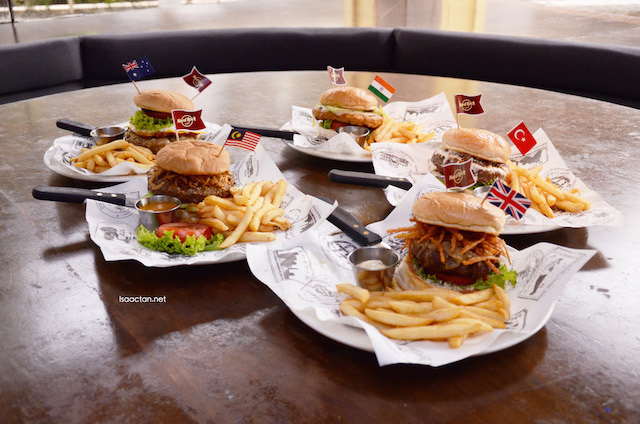 These unique burger “acts” Mumbai, India, Manchestar, UK, Sydney, Australia, Istanbul Turkey and even the local Legendary burger will take center stage at Hard Rock Cafe Kuala Lumpur beginning on Monday, June 1 through Tuesday, June 30, 2015. I had the opportunity to sample the burgers the other day, check them out below! A quick background on what the World Burger Tour is all about. 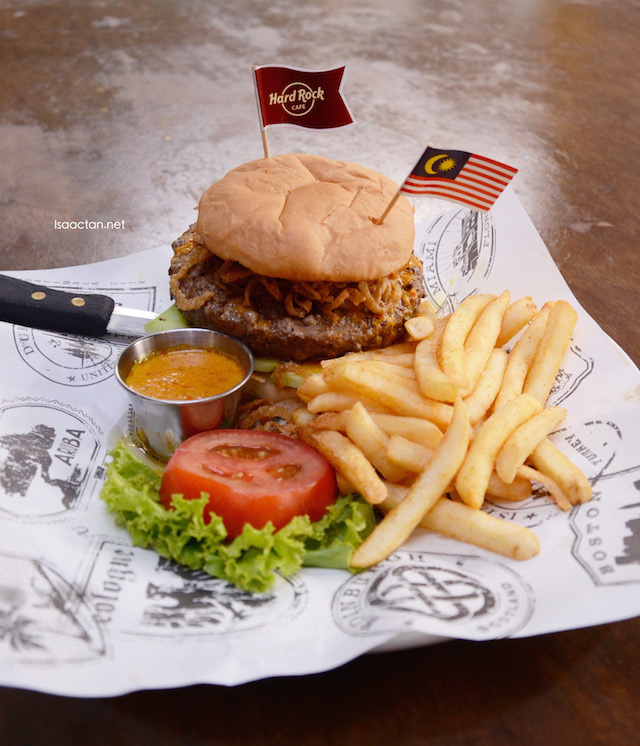 Hard Rock gives chefs at their cafes the freedom to create a unique Legendary Burger that captures the local flavors of their city and is only available at that cafe location, until now. Now you get to try these burgers, which were evaluated by Hard Rock’s culinary team, with fan favorites selected to star on a limited-time World Burger Tour menu. These four burgers will be featured at Hard Rock Cafe in addition to its unique Local Legendary, Percik Burger. From the Tandoori Spiced Chicken Burger in Mumbai, featuring Hand-pressed ½-Ib chicken tikka patty seasoned with authentic India spices and fresh herbs, topped with melted Jack cheese, mint mayo, crisp lettuce and vine-ripened tomato served with sliced cucumber and seasoned fries, to the Lancashire Hot Pot Burger in Manchester featuring Tender and juicy 1/2 –Ib lamb patty, paired with caramelized onions, crunchy carrot frazzles, crisp lettuce and vine-ripened tomato served with mint mayo and and seasoned fries, Hard Rock’s Local Legendary Burgers are packing their bags (or buns) and heading out to Hard Rock Cafes with a special stop at Hard Rock Cafe Kuala Lumpur! 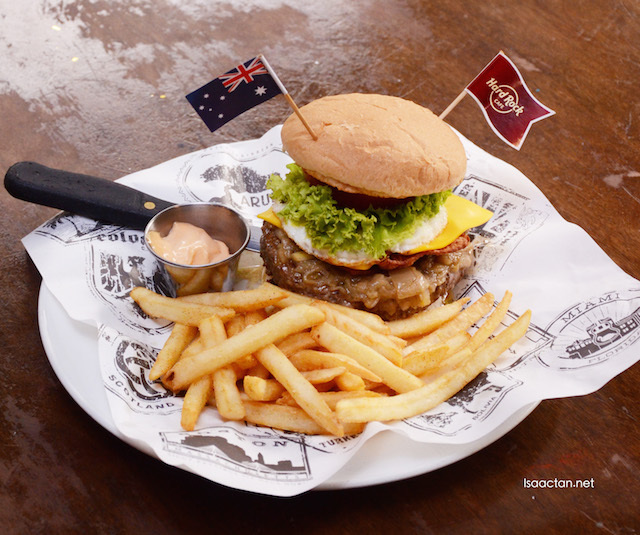 The Aussie Burger came with two flags, one showcasing the country's flag and another the Hard Rock Cafe's mini flag. This Australian Legendary features a beef patty topped with caramelized onions, a fried egg, Cheddar cheese, crispy turkey bacon and beetroot. What got me excited is the crispy turkey bacon, and that unique purplish beetroot thrown into the mix. 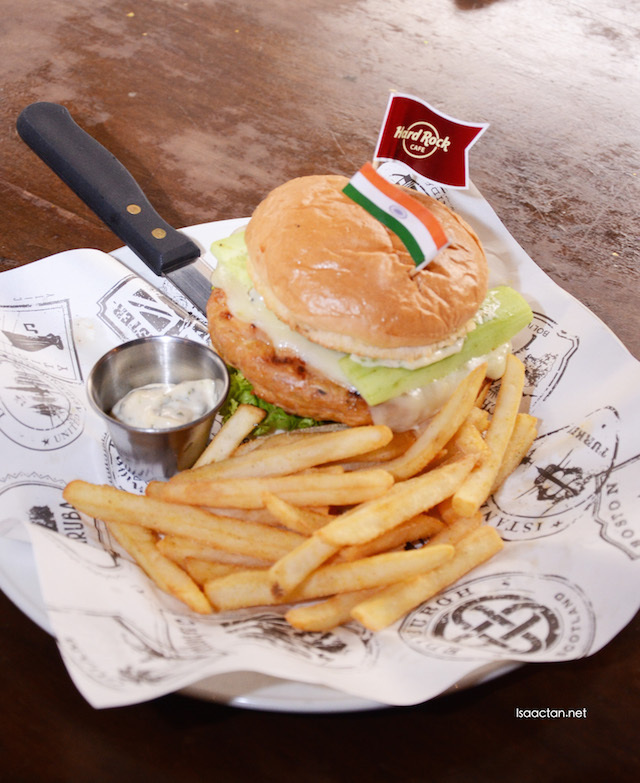 The patty is real juicy too, with just enough texture to munch on while enjoying the flavour. Up next is the Tandoori Spiced Chicken Burger, an Indian Legendary featuring a dark meat chicken patty seasoned with aromatic spices and fresh herbs, topped with mint mayonnaise and served with a side of cucumber. I find it pretty tasty, with lots of spices. The chicken patty thickness is triple the size of your normal patty, very filling. 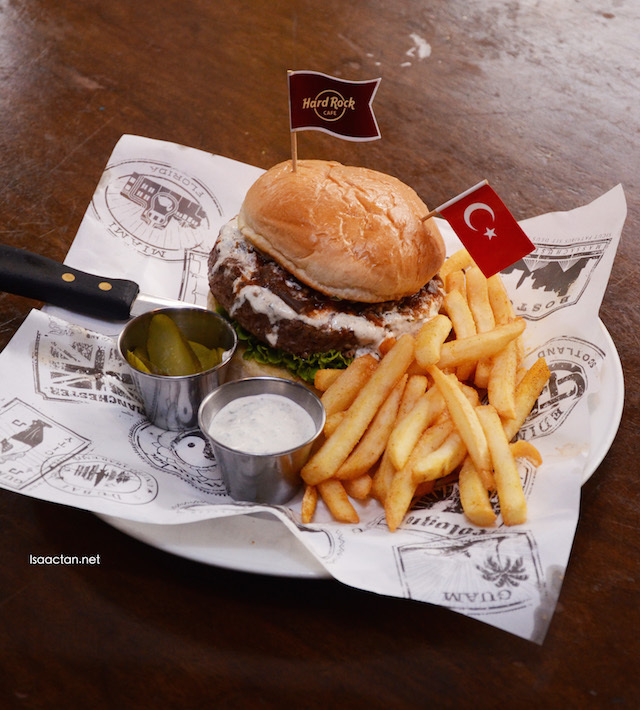 This Turkish Legendary Bosphorus Burger features a beef patty topped with homemade eggplant salad, fresh and flavorful haydari sauce and pickle slices. Now I didn't know eggplant can be paired with a beef burger, and interestingly it turned out all right. The haydari sauce is what made this Turkish delight special. My favourite of the lot, even though it uses lamb patty instead of the usual beef patty. 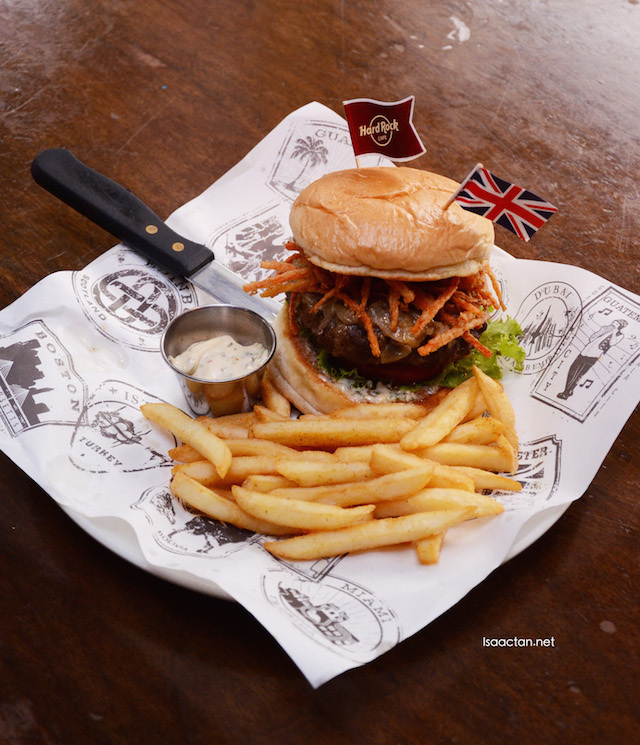 This English Legendary, Lancashire Hot Pot Burger features a juicy lamb burger broiled until tender and topped with caramelized onions, crispy carrot frazzles and mint mayonnaise. It's pretty huge, in fact all the burgers in the World Burger Tour are huge, with a tender and juicy 1/2lb lamb patty to fill your stomach. The crispy carrot frazzles made all the difference in this burger. The local Percik Burger, Legendary Malaysia burger, with percik sauce on the side, this is some really good stuff. Mouth watering juicy burger, basted with a Paste of Malaysian spices, topped with cucumber slices, fried onion straws and a side of seasoned french fries. Local Legendary Burgers are served with lettuce, tomato and paired with the ultimate sidekick – Hard Rock’s Savory Artisan french fries. Throughout the World Burger Tour, each French fry selection is paired with a complementary signature dipping sauce. Guests in select markets can choose from Hard Rock’s classic seasoned french fries or additional new offerings, including Chili Seasoned Fries with Chipotle Garlic Ketchup, Parmesan Romano Fries with Garlic Aioli and Herb and Garlic Fries with Chimichurri Mayo*. 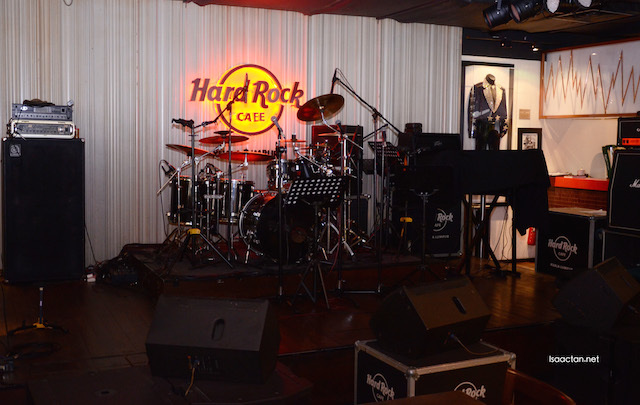 Hoping to drop by Hard Rock Cafe Kuala Lumpur again one of these days. 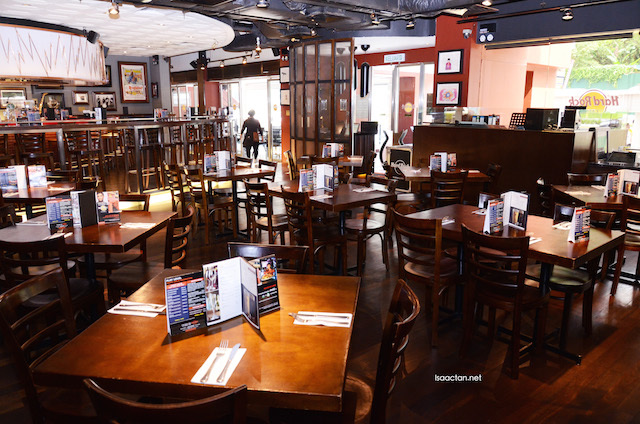 Just like the artists whose memorabilia lines the walls at Hard Rock locations worldwide, the burgers that Hard Rock Cafe serves are nothing short of “Legendary.” All Legendary Burgers feature the highest quality meats, fresh ingredients, savory sauces and rich, melted cheeses. • Pomegranate Mule – a mix of ABSOLUT® Vodka, Monin Pomegranate and ginger beer make this summertime favorite! 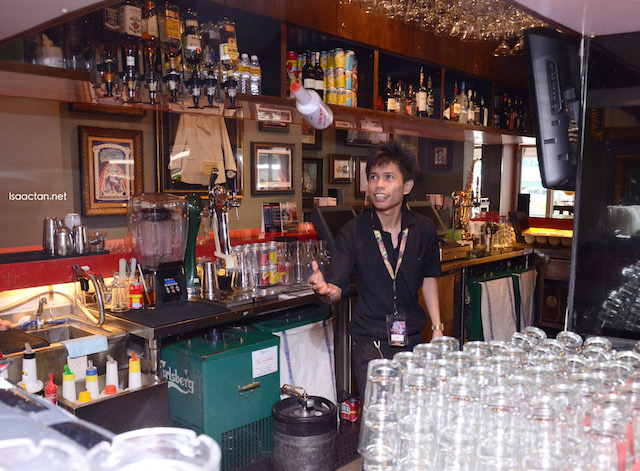 Guests can stop by Hard Rock Cafe Kuala Lumpur to try out the latest items or visit www.hardrock.com/KualaLumpur for more information. Used to drop by when it first opened...and I used to stay at the hotel next door. Burgers were HUGE then - everything American size, I hear they are not so big anymore.